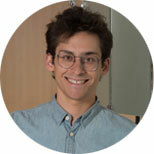 Aaron Osgood-Zimmerman, MS, is a Research Scientist at IHME. He focuses on developing and improving the geostatistical models used by several Geospatial Analysis research teams. These models have already been used to produce high-resolution maps of the leading causes of under-5 mortality and the modes of child growth failure (stunting, wasting, and underweight) over time in Africa. They will also be employed in IHME’s future analyses of other locations around the world. His research interests include nonstationarity, synthesizing data at different resolutions, and space-time model validation. Aaron received his mathematical training at Swarthmore College, where he was awarded a BA in Mathematics and a BS in General Engineering. He moved to Seattle to pursue a PhD at the University of Washington, where he studied spatiotemporal climatological statistical modeling and received his MS in Statistics. He is currently on leave from the Statistics department.